Villa Faith is one of our Nerja villa rentals. It is situated on the Almijara urbanisation in Nerja in Spain and has access to 2 shared pools. We have just returned from a marvellous holiday. We were staying in a townhouse in Nerja on an urbanisation with a communal pool. This suited us very well as we are a family of 2 adults and 3 children. Our children much prefer a holiday on a complex where they can meet other children and make friends, rather than staying in a villa with a private pool, where they don’t get the opportunity to meet new children. The accommodation was very well equipped. We like to eat in most nights. This was very easy as there were plenty of pots and pans and utensils in the kitchen. We honestly didn’t feel anything was missing. There was also a dishwasher, which was very nice. Actually we don’t have one at home, so this was a real blessing for our holiday. The villa was very clean when we arrived. The key had been left in a key safe. We arrived in the afternoon, so it was very easy to find the villa, as it was still daylight. Inside the owner had left the emergency contact numbers for the local agent, in case we needed anything during our stay. The pool and gardens of the complex are very well maintained. It is a really pretty area. We were also very lucky with the weather. It was sunny most of the time. There was only one day which was a bit cloudy. But it never rained. There was a supermarket in walking distance and the bus service seemed quite regular although we didn’t get to use it. We booked the villa through Holidays 4U. Would definitely come back again. We had a great time. 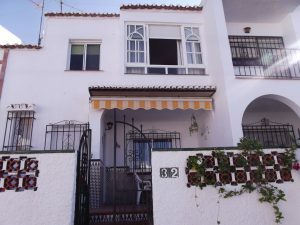 This entry was posted in Spain Villas and tagged #holidays4uorg, #karendurant, #NerjaVillas, #spainvillas by holidays4u. Bookmark the permalink.